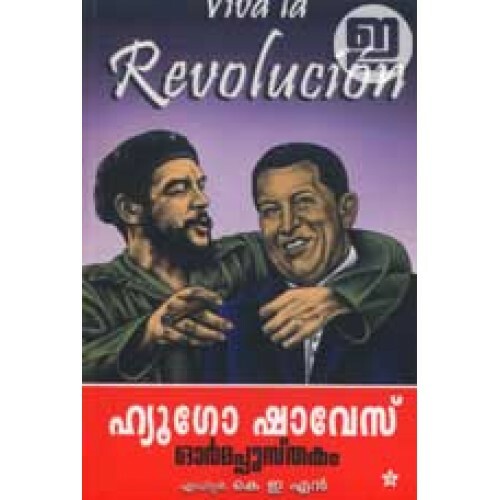 A tribute to Hugo Chavez, much celebrated Venezuelan leader, edited by K E N. Contributors include Tariq Ali, Binoy Viswam, M A Baby, Ijas Ahamed, Prakash Karat, Venkitesh Ramakrishnan, N E Sudheer, Dr P K Pokkar and many more. Hugo Chávez served as president of Venezuela from 1999 until his death in 2013. During his presidency, he sold oil to Cuba and resisted efforts to stop narcotic trafficking in Columbia, and subsequently strained relations with the United States. In 2006, he helped create the Bolivarian Alternative for the Americas, a socialist free-trade organization. 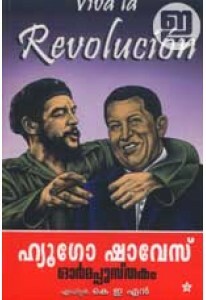 Chávez was also an active member of the Non-Aligned Movement, a group of more than 100 countries, including India, Cuba, Iran and several African nations.